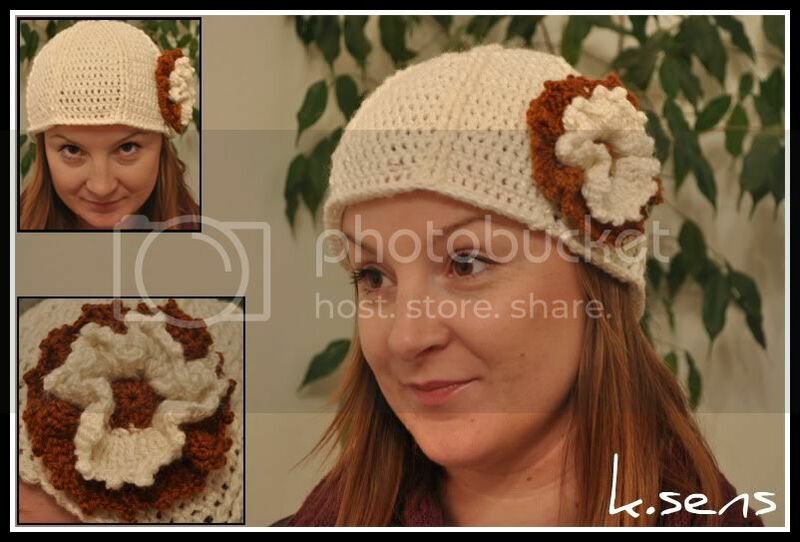 It's from a series of hats I named "Chocolate Hats", and the one in the photo above is the White Chocolate Hat and the one below is the Chocolate Hat. 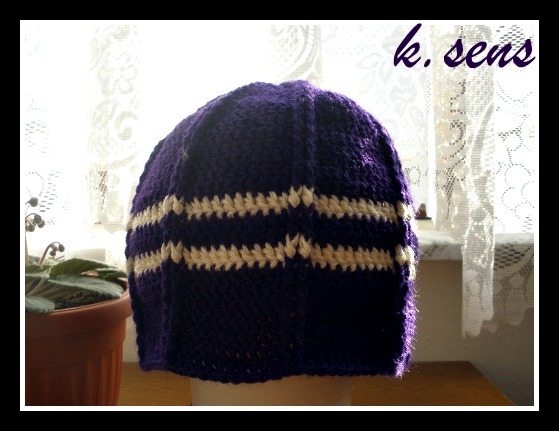 I also made a "Milka" Chocolate Hat for kids and that's the one at the bottom of this post. 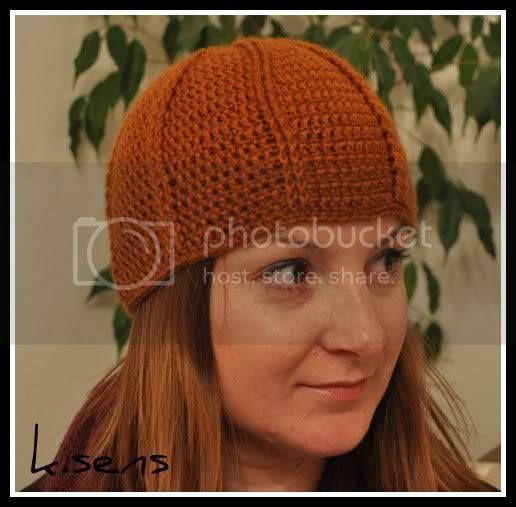 Here is a pattern for these winter hats. Start with chain 4 and create ring with slip stitch in first chain. At the end of row 10, you should have 96 stitches. 11.-15. row - 1 FPSC around first FPdc from previous row, chain 2, 1 FPDC around next stitch, and the repeat: 1 dc in each dc, FPDC in each FPDC till end of row and finish with slip stitch in top of 2nd FPDC.